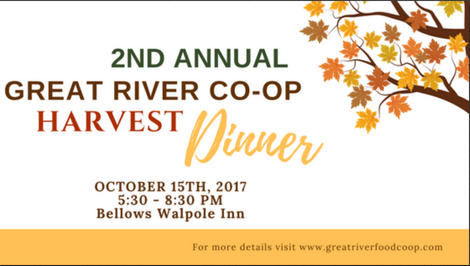 This October, The Great River Co-op is joining in the celebration of National Co-op Month by holding our 2nd Annual Harvest Dinner Fundraiser! Taking place on Sunday, October 15 at the Bellows Walpole Inn, the event will showcase delicious foods from local farms, prepared in a multi-course fall-inspired meal. Early bird tickets are available through September 24th, then the price per ticket will go up, so grab them fast! The evening will begin with a cocktail hour where guests can peruse a collection of silent auction items donated by local businesses. The members of the board will be introduced, attendees will learn more about the store's progress, and also find out how they can help. The main event will be a multi-course meal featuring as many local ingredients as possible. Seating will be family style, and the meals will be plated and served in the Bellows Walpole Inn Dining room. Want to help? There are many ways we could use your help on this! *Buy tickets and join us! *Donate an item for the silent auction! *Donate an ingredient for the multi-course meal! Have questions? 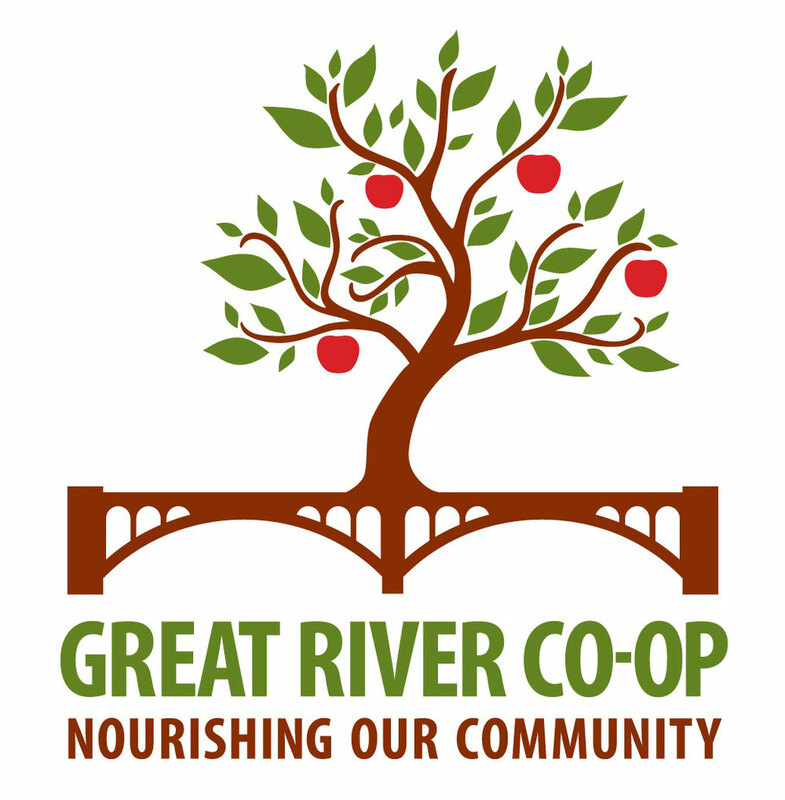 Shoot us an email at info@greatriverfoodcoop.com. We hope you'll join us for this fantastic event celebrating local food and businesses!